Hedge fund managers and other investors had identified investment opportunities prior to the broader market pullback in August, so why not acquire more shares on the cheap? Most hedge funds have been busy piling up their holdings lately without waiting for the storm to pass. This article will discuss the moves made by two such investment firms monitored by Insider Monkey. In a recently-amended 13D filing with the SEC, Steven Cohen’s Point72 Asset Management disclosed an ownership stake of 5.49 million shares in Olin Corporation (NYSE:OLN), which yields an increase of 581,688 shares from the position revealed in the latest 13D filing on the company. 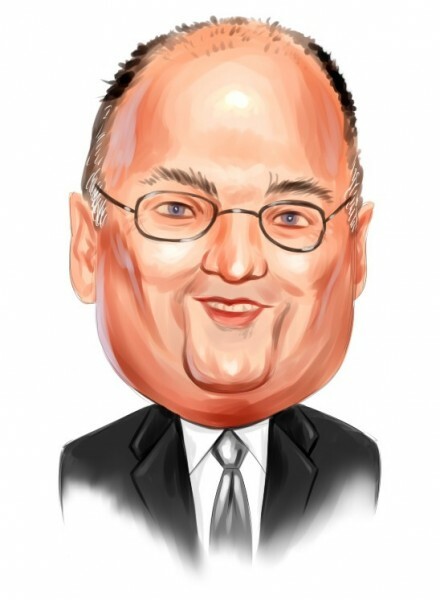 However, Steven Cohen’s firm ceased to beneficially own more than 5% of the company’s common stock. Point72’s ownership fell to 3.3% as the firm issued 87.48 million shares in relation to the closing of a merger that will be discussed later on in the article. Meanwhile, Steven Boyd’s Armistice Capital reported owning 2.6 million shares of XenoPort Inc. (NASDAQ:XNPT) via a separate 13G filing, with the position accounting for 4.1% of the company’s outstanding shares. This marks an increase of 1.0 million shares from the position the fund reported holding as of June 30. But why do we track hedge fund activity? From one point of view we can argue that hedge funds are consistently underperforming when it comes to net returns over the last three years, when compared to the S&P 500. But that doesn’t mean that we should completely neglect their activity. There are various reasons behind the low hedge fund returns. Our research indicated that hedge funds’ long positions actually beat the market. In our back-tests covering the 1999-2012 period hedge funds’ top small-cap stocks edged the S&P 500 index by double digits annually. The 15 most popular small-cap stock picks among hedge funds also bested passive index funds by around 60 percentage points over the 36 month period beginning from September 2012, returning 118% (read the details here). Prior to discussing Olin Corporation’s freshly-completed merger and its performance, we will provide a brief overview on Steven Cohen’s firm. Point72 Asset Management, formerly SAC Capital Advisors, is a family office that manages the capital of its founder Steven A. Cohen. The investor changed the name of his SAC Capital last year, after agreeing to stop managing external capital to settle allegations of insider trading. The investment firm mainly focuses its investment strategy on discretionary long/short equities, but also makes quantitative and macro investments. As stated by its most recent 13F filing, Point72 Asset Management oversees an equity portfolio with a market value of $14.44 billion as of June 30. Olin Corporation (NYSE:OLN), a manufacturer of chlor alkali products, recently revealed the completion of its previously-announced acquisition of U.S. Gulf Coast Chlor-Alkali and Vinyl, Global Chlorinated Organics and Global Epoxy businesses from Dow Chemical Co. (NYSE:DOW). At the same time, William H. Weideman and Carol A. Williams have been appointed as Directors to Olin’s Board of Directors. Following the completion of the transaction, Olin Corporation represents the largest integrated chlor-alkali producer. Regardless, the company’s stock performance has been disappointing over the past few months, having embarked on a steady downtrend since early-April, which does seem to be turning around at the moment however. Even so, the shares of Olin have lost more than 17% year-to-date. In the meantime, the number of hedge funds tracked by Insider Monkey with stakes in Olin increased to 24 from 22 during the June quarter, with them owning 13.00% of the company’s shares in aggregate. Similarly, the value of these stakes increased to $271.50 million from $165.63 million during the three-month period. Adage Capital Management, founded by Phill Gross and Robert Atchinson, was the largest shareholder of Olin Corporation (NYSE:OLN) among these hedge funds on June 30, owning 2.36 million shares.